Salman Khans "Tubelight" might be getting a mixed response from the critics, but it has left celebrities like Preity Zinta, Dia Mirza and Subhash Ghai in awe of it. They feel the heart-warming performances in the Kabir Khan directorial light up the films narrative. "Tubelight", also featuring Salman's brother Sohail, child actor Matin Rey Tangu and Chinese actress Zhu Zhu, is set in the backdrop of the India and China war of 1962. It released in India on Friday. The makers are claiming that "Tubelight" is the widest release ever for a Hindi film releasing in 5,550 screens worldwide. It is releasing in India on 4,350 screens, and 1,200 screens in traditional markets only, excluding China and other non-traditional markets. Film critic Taran Adarsh on Friday tweeted: "'Tubelight': Disappointing, solid star power, stunning visuals. 'Tubelight' body beautiful, minus soul. "'Tubelight' rests on a thin plot... Screenplay lacks the power to enthral and mesmerise... Emotions plenty, but few moments stand out. Will it touch Rs 300 crore, Rs 400 crore, Rs 500 crore? I doubt." But members of the film fraternity are going gaga over the film. Preity Zinta: Congrats Salman Khan and Kabir Khan for yet another blockbuster. 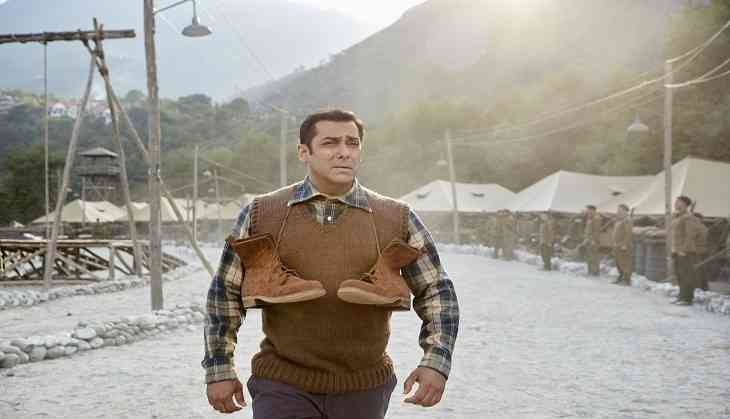 Absolutely loved the time, innocence and world of Tubelight. Subhash Ghai: Congratulations Salman Khan for wonderful performance as an actor in "Tubelight". Remo D'souza: The man who lights up everybody's life Salman Khan. Sir, you were outstanding from the first frame to the last in "Tubelight". Dia Mirza: One of my favourite scenes in the film, one that conveys essence of this story is a magical surprise by SRK. "Tubelight" is Salman Khan's gentlest, most honest performance. Om Puri, Sohail Khan, Matin Ray Tangu, Zhu Zhu have my heart. Neil Nitin Mukesh: Salman Khan congratulations on the release of "Tubelight". As usual you are going to rock it. God bless you with happiness and success. Sophie Choudry: "Tubelight" is all heart! Left a huge smile on my face and a tear in my eye. Salman Khan is superb. So are Zhu Zhu, Sohail and Matin. Maniesh Paul: Timing between Salman Khan and Sohail Khan is so good... Sohail bhai you shine. Armaan Malik: Salman Khan, Sohail Khan, Zhu Zhu and late Om Puri ji - truly heartwarming performances by all. ऐश्वर्या से जुड़े विवाद पर सलमान खान के लिए विवेक ओबरॉय ने कही बड़ी बात, बोले- क्या वो माफी..